We invite you to take advantage of this opportunity to learn from astronomers and educators from all around the globe, including your own backyard. The Yerkes Outreach Teachers are thrilled to welcome the Global Hands-On Universe Project to present workshops for teachers on Monday July 26th, Tuesday July 27th, and Wednesday, July 28th, 2011 at the historic Yerkes Observatory. Hands-On Universe (HOU) is an educational program that enables students to investigate the Universe while applying tools and concepts from science, math, and technology. Global Hands-On Universe joins efforts from all around the world, allowing students and teachers to share their work and experiences. HOU and GHOU now offer greater than ever access to an increasing number of remote telescopes and image processing software. Please make a donation of $25 for the workshop or $10/day, payable on the day that you attend. Click here for the agenda. Click here for abstracts. Asteroids WISE online workshop The workshop is geared mostly for high school and to some extent middle school teachers. Contact Vivian Hoette if you are interested in taking this course. Capture the constellations and the stars in your backyard with your digital camera. 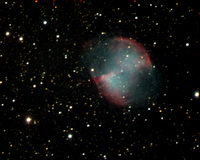 Engage astrometry.net as the star detective for your photos. Create your own observation record of variable stars either with your own camera or with our internet telescopes.Teacher extraordinare Rich DeCoster is the mastermind for this workshop. Rich has recruited Rich Kron and Kevin McCarron to help out with these projects and presentations. Additional presentations by Vivian Hoette of Yerkes Observatory, and Josh Haislip from the University of North Carolina. Click here to complete our survey after the workshop. We appreciate your feedback! Click here to read about this workshop. BOGO – bring a friend! Build Your Own Galileoscope! We would like to Share the Universe with you by putting telescopes in your hands and at your fingertips. In celebration of Global Astronomy Month we are offering BOGO (buy one, get one free) with a fee of only $25 for both you and a friend new to our group. Come join Yerkes teachers for a weekend of observing and learning in beautiful central Illinois at EIU with Bob Holmes of ARI, in the quiet countryside and dark sky area of Illinois. We will be observing Friday and Saturday evenings with Bob, and working during the day on Saturday with Bob and Tyler Linder at Eastern Illinois University. We will be doing photometry on asteroids using Minor Planet Observer software learning how to construct light curves, leading perhaps to publication. This workshop is a perfect example of STEM, combining science, technology, engineering and math, into lessons you can apply in your middle or high school or college classrooms. Learn about multi-wavelength astronomy, aeronautics and NASA's SOFIA Project! Explore SOFA's Active Astronomy and the Invisible Universe and more! Registration includes CPDU's and lunch. How I Killed Pluto and Why It Had It Coming! How I Killed Pluto and Why It Had It Coming by Mike Brown will be featued at our workshop on Saturday, January 21, 2011. Join us as we discuss the entertaining and informative accounting fo Pluto's demise. Also learn how to utilize a graphical user interface (GUI) to run the Stone Edge Observatory remotely, and make beautiful color composites through the webpage (no image download necessary). Click here to take survey after the workshop. Thank you for your feedback! -Friday-Saturday, December 10-11, 2010 Workshop at Yerkes Observatory. Science is not only thinking, experimenting, observing, and analyzing, it is also building instruments to investigate our universe. The materials for this workshop were developed as part of the YAAYS program that included students from the Wisconsin School for the Blind and Visually Impaired and the Wisconsin School for the Deaf. Through the use of infrared radiation, principles of optics can be demonstrated. -Friday-Saturday November 12-13, 2010 Workshop at Yerkes Observatory. Remote Observing with a 20 inch Telescope in Sonoma, CA. 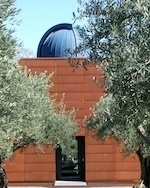 Become a teacher leader in using and designing education projects for this unique observatory. Click here for program details and signup. November, 2010: You may also wish to signup for an online workshop called Asteroid WISE and get paid at least $300 for your effort. Education credit may also be available through George Williams College in Wisconsin. The workshop is geared mostly for high school and to some extent middle school teachers. Saturday, September 25, 2010 - Introduction and Getting Started Workshop for the Pulsar Search Collaboratory. Orientation workshop from 1:00 - 4:00 pm at Yerkes Observatory. Check in on Friday evening by 8:00 pm. Saturday workshop through Sunday afternoon workshop. Click here to read more about this project. A Brochure to the event is attached at the bottom of that page. To celebrate the Moon and share new knowledge with educators, Yerkes is offering a teacher workshop during the day on Saturday, September 18. Registration is required. 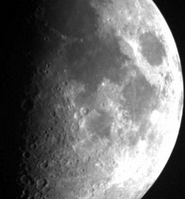 The Lunacy day workshop will provide teachers with classroom activities and resources associated with new information about the Moon from the NASA Lunar Reconnaissance Orbiter. Click here for agenda for the event. Weather permitting, Yerkes Observatory, at 373 W. Geneva Street, Williams Bay, Wisconsin, is offering a special opportunity for people to to observe the Moon, with activities designed for school age children accompanied by a parent or teacher. Registration is required as this event is limited in number of participants. A confirmation page will be provided which must be printed out and brought to the event.